The icing on the cake, as far we are concerned, and a fitting way to celebrate our achievements. March 2016 saw Scotch on the Rocks shortlisted for the prestigious Exeter Novel Prize and in November 2016 I held an author talk in London, at Aspinalls. 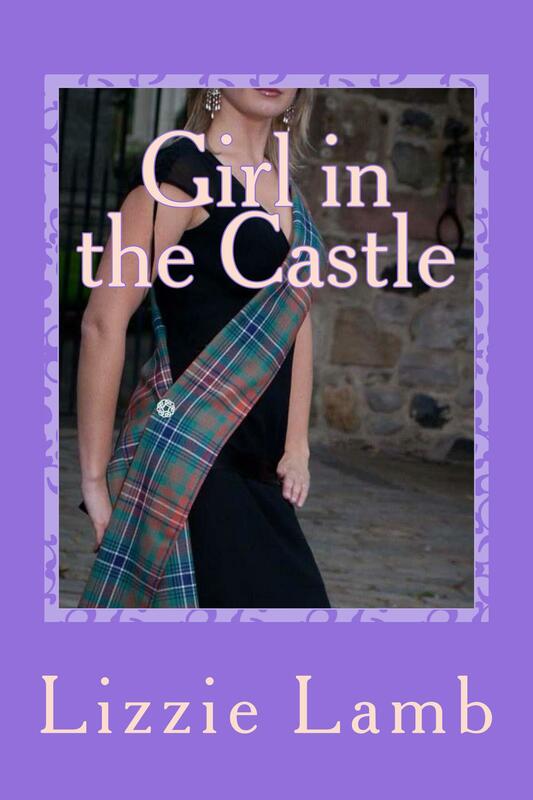 In Spring 2017 I published – GIRL IN THE CASTLE, which reached #3 in the charts. I am currently working on a novel set in Wisconsin – Take Me I’m Yours,and have more Scottish-themed romances planned. I live in Leicestershire, England, with my husband David (aka Bongo Man) and our naughty parrot, Jasper. Frankie Hi Lizzie, Welcome to Chicks, Rogues and Scandals! Thank you for taking the time to chat with me today. Lizzie Romantic. Loyal. Hardworking. Supportive. Funny. Frankie I’m right with you there 😉 Can you tell us a little about latest release? This can be your most recent or up-and coming release. Frankie Sounds great! Who, was your childhood hero? Lizzie Can I choose two fictional heroes? I’ve always loved history and my adolescent hero would have to be Prince Rupert of the Rhine – Charles I’s nephew, all round action-man and warrior. I loved that he had a large poodle called Boye who followed him into battle. My other is Flora MacDonald who smuggled Bonnie Prince Charlie ‘over the sea to Skye’. A fact many people may not be aware of, is that she was for a time held in the Tower of London for her part in the rebellion and eventually emigrated to America. 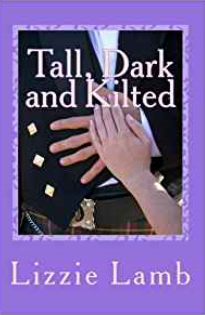 Lizzie I think that Tall Dark and Kilted would make a great film, It was my debut novel and inspired, in part, by the BBC series Monarch of the Glen. I think that Alistair Mackenzie who played the laird’s son, Archie, would make a perfect Ruairi, although I would have him a bit older. As for the heroine, Fliss, I would choose Rose Leslie who played Ygritte in Game of Thrones, but I would have to make her blond to fit the physical description of my character. Frankie Ooh, Nice!! Out of all your work, who is your favourite character and why? Lizzie I choose Doctor Henriette Bruar, the heroine in Girl in the Castle. She’s on the run from trouble at the university where’s she’s just gained her doctorate. She’s been sent to an ancient castle set in a romantic Scottish loch to catalogue the library until the scandal blows over. Ideal job, ideal location to hide away. When she meets trouble hero Keir, a laird-in-waiting, the sparks fly. I love Henri because she’s intelligent, no man’s fool, principled and romantic. She brings happiness back to a family living in the shadow of grief and falls in love herself – with a hero who speaks Gaelic (swoon). At the end of the novel he says: ‘Is tu an solas na mo bheatha. You are the light of my life.’ It doesn’t get much better than that! Lizzie My head is full of dreams and stuff and nonsense. Everything I’ve read, seen and experienced combine to make me the writer I am today. I am inspired by location, funny things which have happened to me, conversations I’ve overhead and heroes I’ve fallen in love with – on the pages of a book or a cinema screen. Heroines I aspire to be. I have so many stories in my head waiting to be written that sometimes I get impatient. I currently have THREE jostling for position and once I publish my new novel (summer 2018) I’m going to have lunch with my two writing buddies: June Kearns and Adrienne Vaughan and ask them to help me choose ! Lizzie Never give up, never give in; no one said that a writing a novel was easy. Write what’s in your heart and ignore trends and fashions, by the time you’ve finished your novel a particular trend might well have changed and publishers will be looking for the ‘next big thing’. Get words down on paper and finish your novel BEFORE editing it, have courage and belief in your own ability. Lizzie I’m going to choose three authors. 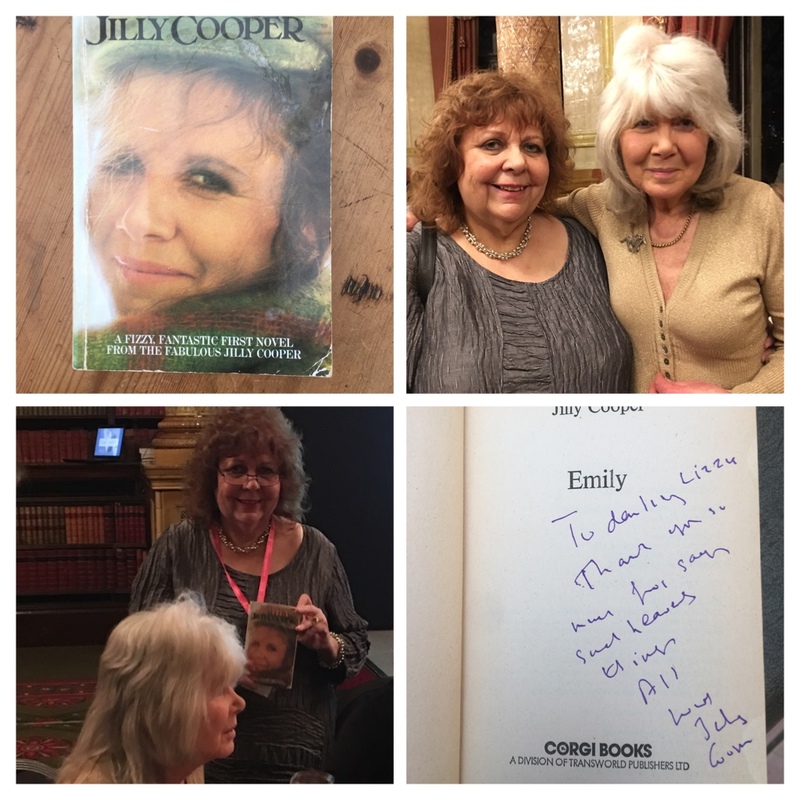 Recently, at the Romantic Novelists’ Association Awards I met my all-time heroine Jilly Cooper she signed one of her books for me. She was every bit as lovely as I’d imagined she would be. Secondly I would invite Carole Matthews who is not only a marvellous writer but inspirational and encouraging to new authors. Lastly, the late Rosemary Sutcliffe who’s novel: Tristan and Iseult is my all-time comfort read. Frankie Thank you, Lizzie for taking the time out of your busy schedule to chat with me today, I have just one more cheeky question, just for fun . . . What is your all-time favourite naughty but nice food? Lizzie I’m greedy – so I’m choosing chocolate and champagne – two mood enhancers if ever there was. Frankie Haha…now greedy, just very real. This entry was posted in Contemporary, Interviews and tagged A Chat With. . ., Author Interview, Interview Exclusive, Lizzie Lamb. Fantastic interview with fabulous author Lizzie Lamb, Frankie. Lizzie is loads of fun, as are her books, and her attention to detail is superb. Her skill of lacing the romance and suspense through with an intriguing historical backdrop works every time. Can’t wait for her new book! Thanks for popping along and joining in the fun, Adrienne. I another life I might have written historical fiction, and who knows, one day I might return to it. I guess that the reason I like writing about Scotland is that it’s almost impossible to avoid bring history into my novels. Thank you Frankie for a great interview with Lizzie Lamb. I love all Lizzie Lamb’s books and always look forward to the next novel. I love the idea of Tall, Dark and Kilted being made into a film and brilliant choices for the lead actors! Thanks for dropping by Sarah and for being such a great help in getting my novels out there, via your formatting and attendant skills. As for a film of TDK, imagine the fun we could have auditioning hunks in kilts for the role of Ruairi. Thank you Sarah! I agree that is a film that I would love to watch, especially with those actor’s. Lizzie is pretty amazing – an avid historian and real romantic, with a wicked sense of humour, to boot. It shines through in all of her books, as does that Scottish blood in her veins!! As she finishes one story, three more are usually taking shape in her head. Go, Lizzie!! Thanks June. As for the next three novels . . . the plots and characters are slugging it out in my imagination to help me decide which one to ‘run with’. But you’re right, it’s back to Scotland for the next one. Thank you so much, I’m pleased you enjoyed the interview. Thank you for stopping by! Thanks Isabella, you’ve been with me every step of the way and a great supporter of my writing – even though we live on separate continents. I value your judgement and editing skills and I know that I can always depend on you – La Diva – to give me the perspective I need when writing. It is always a hoot to eavesdrop on any chats with Lizzie Lamb. I love the details of what inspires Lizzie’s stories. I have read most of novels by Carole Matthews. Thanks Jessie, like me you like to see the humour in situations. It is such hard work writing, editing and publicising our books that we’d be lost without fellow writers and fabulous bloggers like Frankie. Good luck with your debut novel: YOU CAN’T GO IT ALONE. Thank’s Jessica! It was a fascinating Interview. Many thanks for featuring me on your blog, Frankie. I hope my story will encourage more readers and bloggers to search out my books and find out more about me. Have a great day. Many thanks to Frankie Reviews at Chicks, Rogues and Scoundrels for featuring me on her blog and asking such great questions. I hope some of you might venture over there and see the whole post. Happy reading. Great interview, Frankie. I always enjoy reading posts about Lizzie and her writing. She’s an inspiration and a hugely supportive and talented author. Looking forward to her next novel. Thanks Jan. I wouldn’t have got this far without the support of lovely author/blogger friends like you. Thanks for finding the time to drop by and leave a comment. Lovely interview and great novels. Lady in the Castle is on my tbr list! Thank you so much Luccia – and don’t worry, GIRL IN THE CASTLE has been called all sorts of things. I hope you enjoy it when you come to read it. Great interview with the lovely Lizie Lamb. Lizzies’s love of Scotland shines through in her writing. I don’t know the country very well but am inspired by Lizzie to find out more.